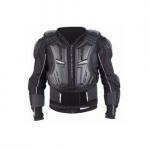 Motorcycle protective gear continues to evolve in some very good ways. Perhaps it's even revolutionary, and certainly to every off-road rider's benefit -- that is assuming you actually wear the safety gear. Lots of different manufacturers say that their youth jerseys are durable, affordable, and comfortable -- but have you ever heard them be easy? More than a traditional chest protector, this Ballistic Jersey from EVS adds a fully-integrated belt to protect the kidney area. 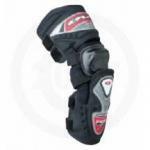 This makes it a complete upper-body protection system.